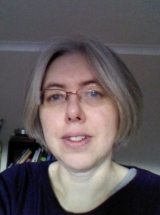 Sharon Howard’s research interests are in early modern crime and law, British history, and women’s and gender history, and she earned her PhD on ‘Crime, Communities and Authority in Early Modern Wales’ in 2003. She maintains a website for Early Modern Resources at http://earlymodernweb.org. Her personal website is at http://sharonhoward.org and she is on Twitter as @sharon_howard.